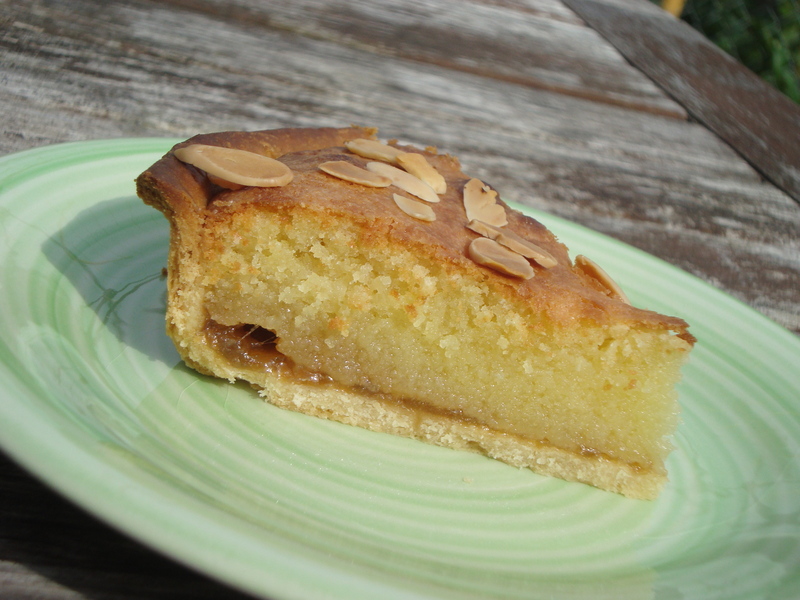 I adore Bakewell Tart – it must be up there as one of my all time favourites so with my recent glut of rhubarb, I though I’d combine the two. Pastry is my nemesis. 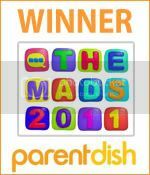 My Mum always says it’s good (she has to say that – she’s my Mum) but I’m never happy with it! The pastry case in this recipe is blind baked before the filling is added. I used some of my rhubarb and ginger jam but you could also use sweetened, cooked rhubarb. 1. Sift the flour and icing sugar into a large bowl, dice the butter and add it. 2. Either use your fingers or a pastry blender to rub the butter into the flour and icing sugar until it resembles fine breadcrumbs. You could also use a food processor to do this. 3. Add the beaten egg, a little at a time and bring the mixture together to form the pastry using your fingers or a palette knife. You don’t want the pastry to be sticky so you may not need all the egg. If there isn’t enough egg to bring the mixture together, add some water, a little at a time until it does. 4. Roll the pastry into a ball, wrap it in clingfilm and chill in the fridge for at least 30 minutes. 5. Preheat the oven to 180°C about 15 minutes before you are ready to bake the pastry case. 7. Lightly dust the work surface with some plain flour then roll out the pastry into a circle approximately 12″ (30cm) in diameter. 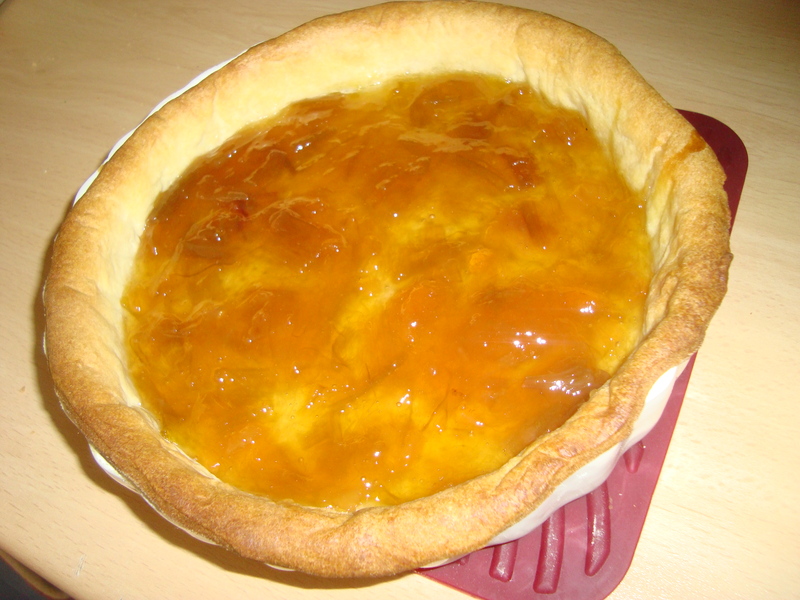 Place the pastry into a 9″ (23cm) flan dish and gently press it into the edges so it moulds to the shape of the dish. 8. Trim off the excess pastry from the edges and prick the bottom of the case all over with a fork. This helps to stop it from rising. 9. 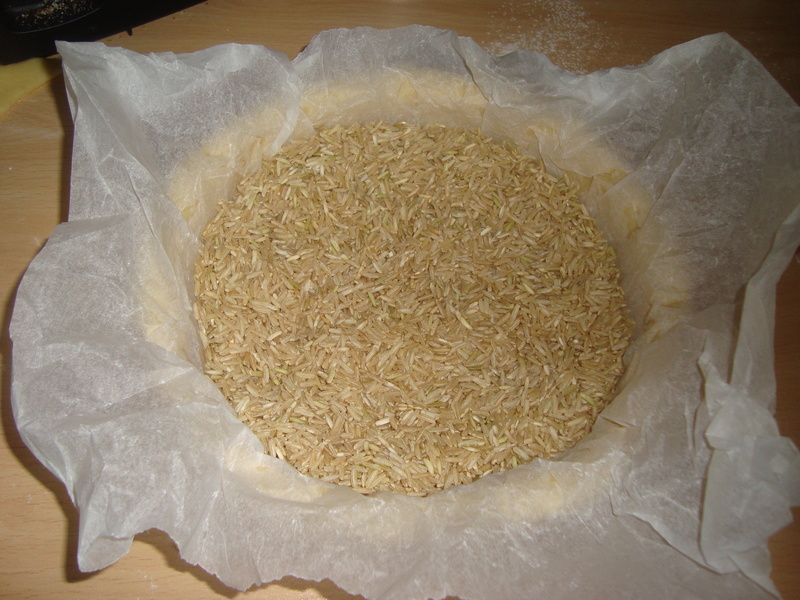 Line the pastry case with some greaseproof paper and fill with baking beans or rice. To make it easier to line the case, scrunch up the greaseproof paper into a ball before lining, which helps it take the shape of the dish better. 10. Bake for 15 minutes then remove the baking beans/rice and greasproof paper, brush the bottom of the pastry case with the beaten egg white and return to the oven for a further 3 minutes. This seals the base of the pastry case and stops it becoming soggy when you add the filling. 11. Remove the pastry case from the oven and allow to cool slightly before spreading with the jam or rhubarb. Turn the oven down to 170°C. 12. In a large bowl, cream together the butter, sugar and almond extract. 13. Lightly beat the whole eggs and extra egg yolk in a small jug then add it, along with the ground almonds to the butter and sugar. 14. Mix until the ingredients are well combined then pour the mixture into the pastry case. 15. 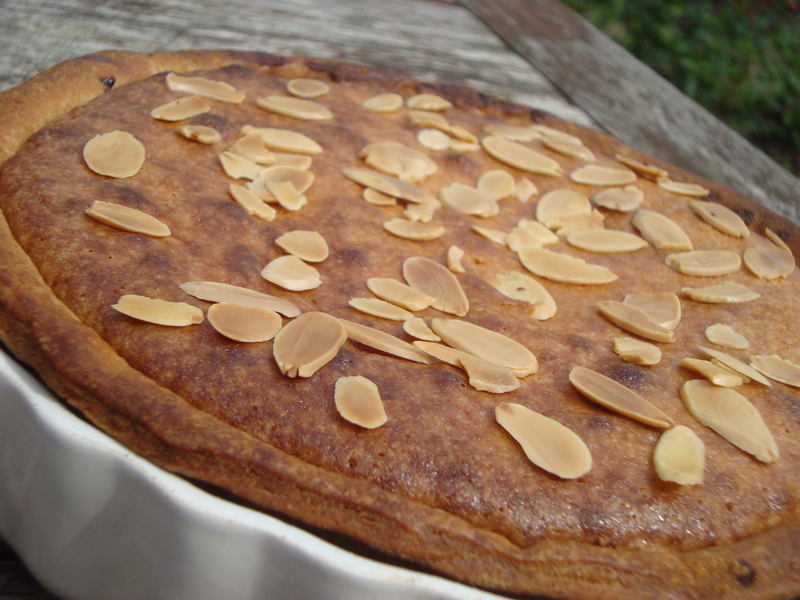 Bake in the centre of the oven for 20 minutes then scatter the flaked almonds over the top. Return to the oven and bake for a further 15-20 minutes until it is golden and the filling is set. 16. Allow to cool in the flan dish or serve warm. I’m another with a glut of rhubarb and this recipe looks delicious. I think I’ll be making it with cooked rhubarb rather than jam though as I just put the last of the jam into the middle of a Swiss roll! This looks very good. My husband does not like rhubarb. Do you have a suggestion for another fruit, this would work with?